LKALLOY, established in 2002, is a leading global supplier and manufacturer of alloy & special alloy products worldwide for energy and infrastructure markets. 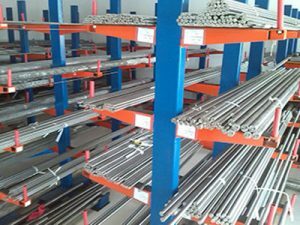 We manage procurement and provide value-added services and delivery of high-performance plate, sheets, bars, pipe and tubing, sections, fittings, flanges, and valves. 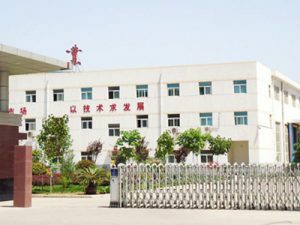 LKALLOY did not merely supply the alloy materials to customers, also helped them in identifying the right type of products for their factories. Technically assisting them with all type of information required, by tying up with large Companies & consultants for this purpose. Our global distribution platform expands across the Europe, Americas, the Middle East, and the Southeast Asia region. LKALLOY operates a Quality Management System that complies with the requirements of ISO9001:2015. We support the most challenging applications with a wide range of quality steel grades and brands. Most of our alloy come from leading steelworks in China such as Tungsten carbide alloys, produced from China’s carbide base HUNAN province, and titanium comes from China’s titanium valley- BAOJI city. Our geographical advantage determines we have the priority on the price. In addition to products, Our material meets a variety of standards, including Chinese(GB), European (EN), American(ASTM, ASME, AISI, SAE), Russian (GOST) and Japanese (JIS) standards. We provide also full valve actuation packages and a wide range of testing, cutting, and finishing services. Whenever there is a question regarding the right choice of material, recommended applications for our alloys or questions about heat treatments and processing, there is an opportunity for us to assist you. Let our professional stuff solve your problem – always for the benefit of our customers and with the aim of achieving the best possible result. Lkalloy has many years’ experience of supplying alloys to every continent of the world. We offer a free technical service for customers to assist with all aspects of material selection, fabrication and applications. Our team of qualified metallurgists is always on hand to offer advice and technical support to ensure that the right material is used for the demanding usage. We offer added-value processing and speedy testing. We can provide services including but not limited to ultrasonic testing, heat treatment, surface grinding, sheet polishing and protecting, cutting, pickling, patination, dye penetrant testing and supplementary mechanical property testing such as Charpy impacts or hardness. Lkalloy has good cooperation with fixed transportation companies to ensure competitive delivery times to customers. We also have excellent working relationships with national and international couriers to ensure we can deliver worldwide. We use air, sea and surface freight for deliveries of small and large alloy products. Our international customers enjoy high standards of packaging, quality assurance and excellent levels of customer service. If you have not located products that you are looking for on our site please do not hesitate to contact our Sales Representative. LKALLOY will try to assist you.